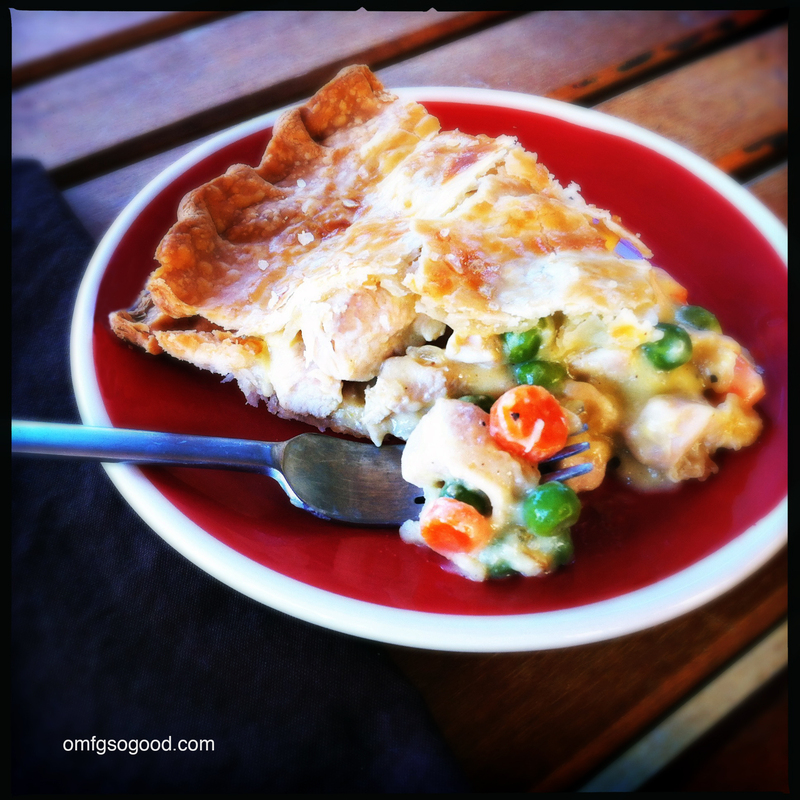 turkey pot pie | omfg. so good. Thanksgiving. Two solid days in the kitchen prepping followed by two solid minutes scarfing down the first plate of food. So worth it. Two days later, let’s tackle the leftovers. Preheat oven to 375 degrees. 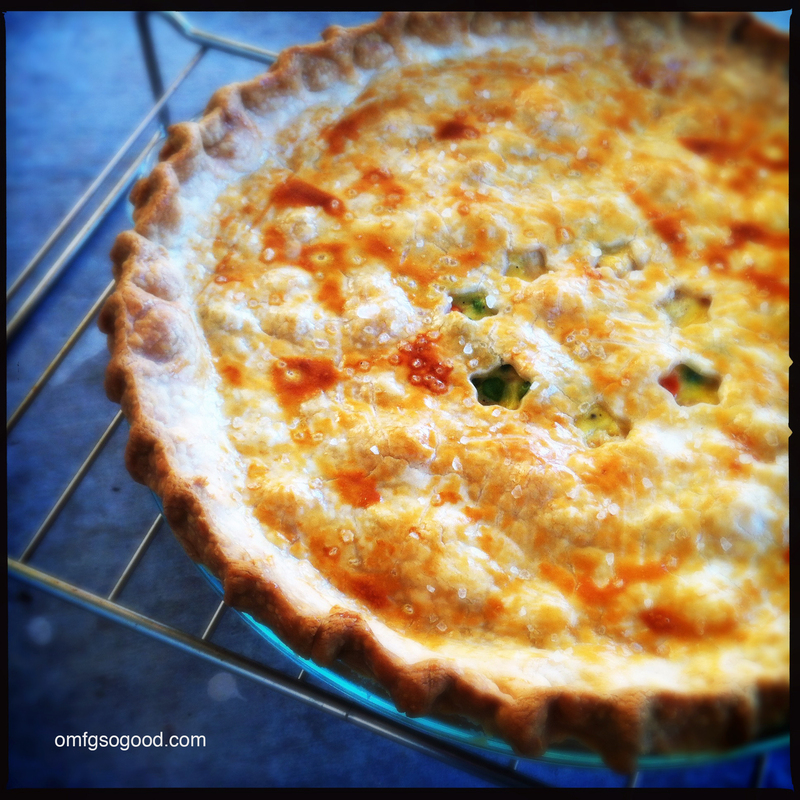 Line 9″ glass pie plate with one unbaked pie crust and set aside. In a large sauté pan or dutch oven, melt the butter, add the onions and cook until translucent then add the carrots and cook to soften just a bit. Add the flour, salt and pepper and stir to coat the onions and carrots. Slowly add the chicken broth and milk and stir to combine. Simmer over medium-low heat until thickened then add the turkey, peas and nutmeg and gently stir to coat. 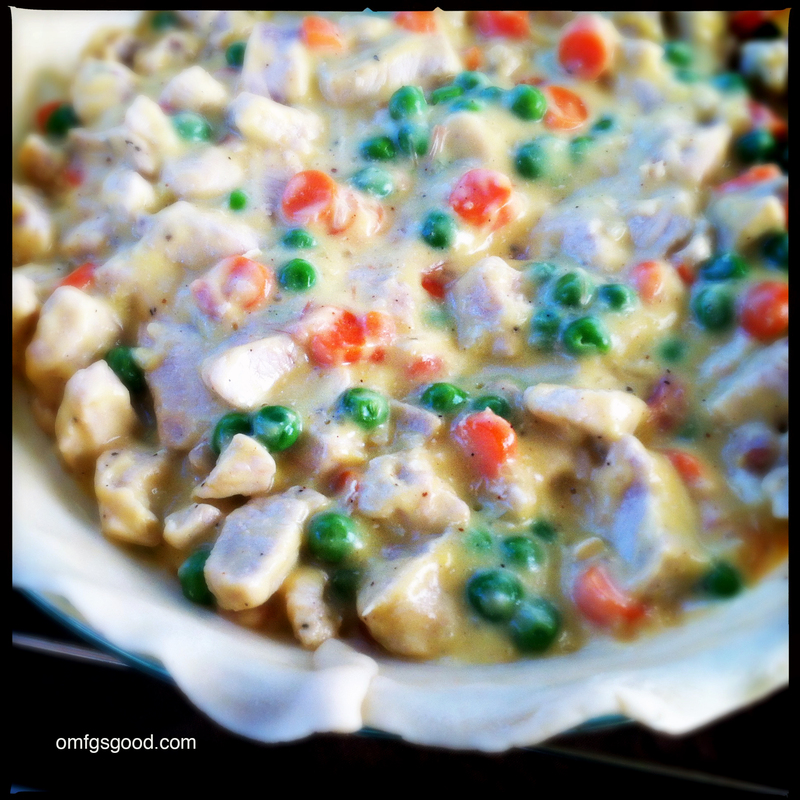 Transfer the turkey mixture into the bottom pie crust, cover with the top crust, cut some fun shapes to allow for steam ventilation, and crimp the edges to seal. Beat the egg in a small bowl and brush on to the top crust then sprinkle with coarse ground sea salt. 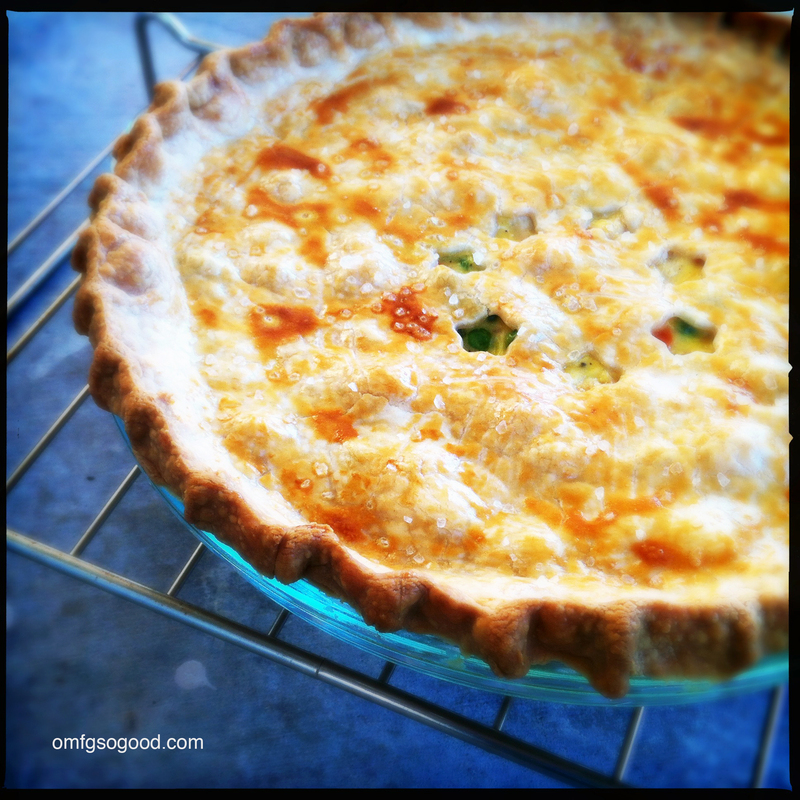 Bake in the preheated oven for 30 – 35 minutes or until the crust is golden brown. Go ahead, laugh. That sounded really naughty. Then make this and feed it to your family and/or friends. No one’s ears are safe from the Pie-ren song.